"I am so thrilled to be sharing another Moda Bake Shop project with you. 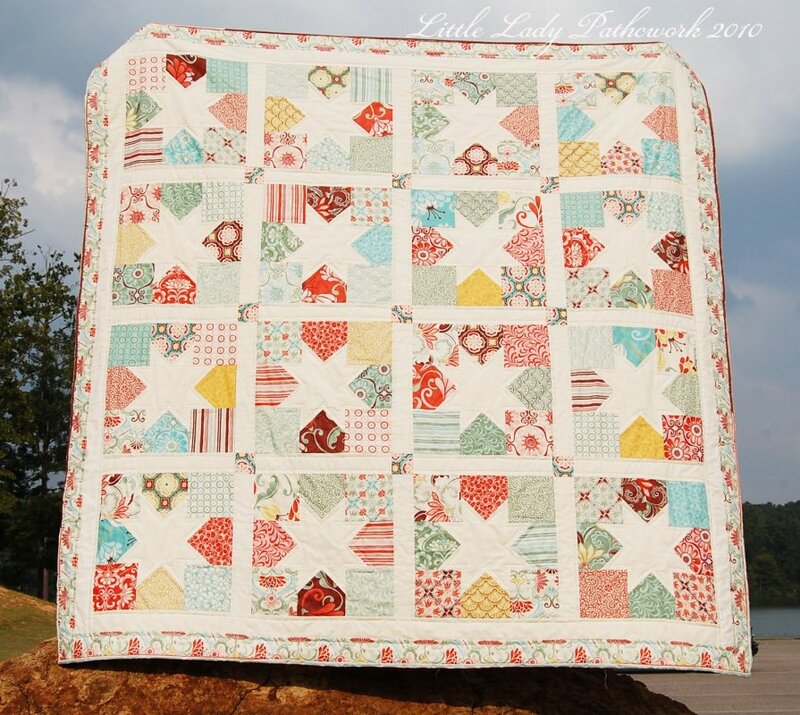 My inspiration for my Charming Stars quilt comes from my latest obsession, charm packs. This time I wanted to create a simple quilt that involved very little cutting. 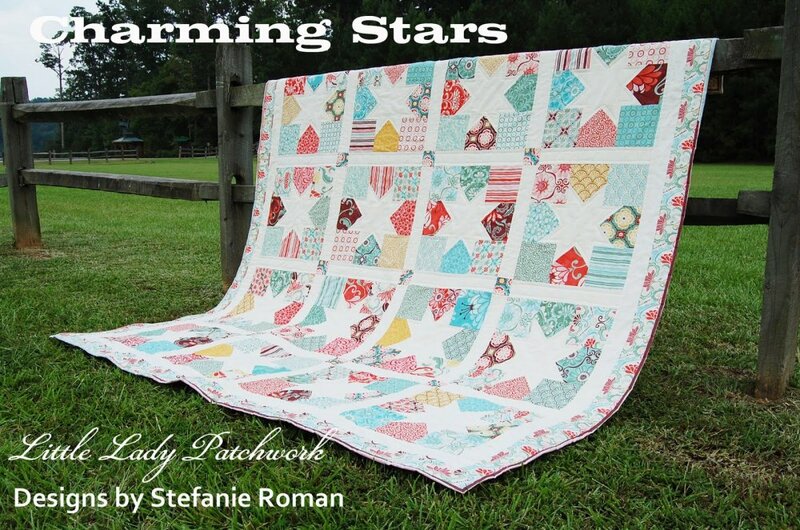 The only cutting involved in the Charming Stars quilt is the background fabric, which makes this the perfect weekend project. "Grab your favorite charm packs and let's get baking!" Also be sure to check out the Moda Bakeshop!